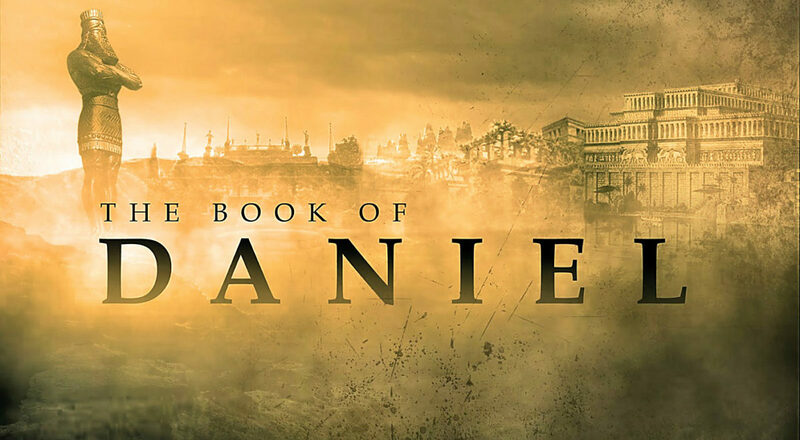 This summary of the book of Daniel provides information about the title, author(s), date of writing, chronology, theme, theology, outline, a brief overview, and the chapters of the Book of Daniel. The book implies that Daniel was its author in several passages, such as 9:2; 10:2. That Jesus concurred is clear from his reference to " the abomination that causes desolation,' spoken of through the prophet Daniel" (Mt 24:15; see note there), quoting 9:27 (see note there); 11:31; 12:11. The book was probably completed c. 530 b.c., shortly after Cyrus the Great, king of Persia, captured the city of Babylon in 539. To avoid fulfillment of long-range predictive prophecy in the book, the adherents of the late-date view usually maintain that the four empires of chs. 2 and 7 are Babylon, Media, Persia and Greece. But in the mind of the author, "the Medes and Persians" (5:28;;) together constituted the second in the series of four kingdoms (2:32-43; see note there). Thus it becomes clear that the four empires are the Babylonian, Medo-Persian, Greek and Roman. The language itself argues for a date earlier than the second century. Linguistic evidence from the Dead Sea Scrolls (which furnish authentic samples of Hebrew and Aramaic writing from the third and second centuries b.c. ; see essay, p. 1939) demonstrates that the Hebrew and Aramaic chapters of Daniel must have been composed centuries earlier. Furthermore, as recently demonstrated, the Persian and Greek words in Daniel do not require a late date. Some of the technical terms appearing in ch. 3 were already so obsolete by the second century b.c. that translators of the Septuagint (the pre-Christian Greek translation of the OT) translated them incorrectly. Several of the fulfillments of prophecies in Daniel could not have taken place by the second century anyway, so the prophetic element cannot be dismissed. The symbolism connected with the fourth kingdom makes it unmistakably predictive of the Roman empire (2:33;7:7,19), which did not take control of Syro-Palestine until 63 b.c. Also, a plausible interpretation of the prophecy concerning the coming of "the Anointed One, the ruler," approximately 483 years after "the issuing of the decree to restore and rebuild Jerusalem" (9:25;9:25-27), works out to the time of Jesus' ministry. Objective evidence, therefore, appears to exclude the late-date hypothesis and indicates that there is insufficient reason to deny Daniel's authorship. The theological theme of the book is summarized in 4:17; 5:21: "The Most High (God) is sovereign over the kingdoms of men." Daniel's visions always show God as triumphant (7:11,26-27;8:25;9:27). The climax of his sovereign rule is described in Revelation: "The kingdom of the world has become the kingdom of our Lord and of his Christ [i.e., Messiah, 'Anointed One'], and he will reign for ever and ever" (rev 11:15;da 2:44;7:27;s). Believers in humble circumstances ought to take pride in their high position. But the rich should take pride in their humiliation—since they will pass away like a wild flower.